The 4th years had a meet and greet thing with the 1st and 2nd years yesterday so I brought my cast upstairs for anyone interested to check out. Had a great time and talked to lots of people about how great stop motion is! AND! 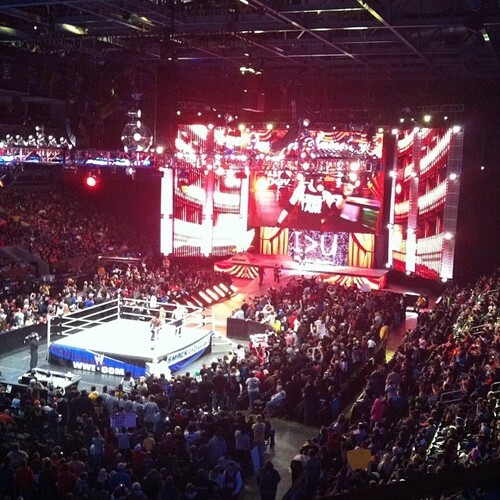 I went on a mini road trip to Toledo, Ohio on Tuesday to see a WWE match live. It was amazing and SO FUN! I mean it was totally for research purposes only, yes. Tags: puppets, stop motion, the champ, wrestling. I finished my first scene using the replacement mouths I made and I’m SO HAPPY with how they worked! I’ll admit I was a little worried since it was my first time making and using mouths for lipsynch but I think it turned out fantastic and I’m super excited to do more! Tags: puppets, sheridan animation, stopmotion, thechamp. Animating! First try on using the replacement mouths I made and they’re working great! 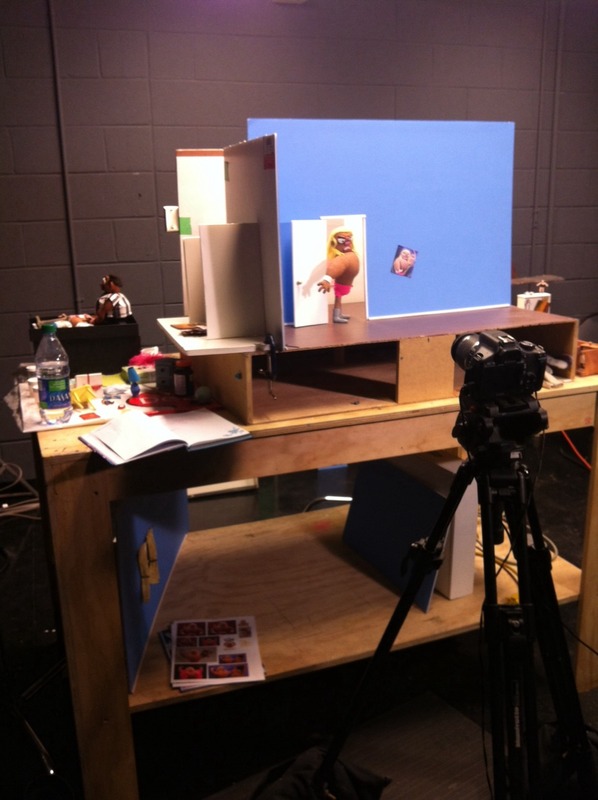 Tags: behind the scenes, sheridan animation, stop motion, the champ.